Lakeland, Fla. (December 2, 2014) – Retail Solutions Advisors (RSA) announces that it has been selected as the exclusive leasing representative for Pearl Britain Plaza, an established neighborhood shopping center situated in a highly visible location in Ocala, Fla. Located at 2645 NE 35th Street, the 82,216-square foot center is anchored by Publix Supermarket and serves as the primary grocery-anchored retail center for the surrounding community. Jannie DelRio, Regional Vice President of RSA will be handling the leasing of 1Pearl Britain Plaza. The property is owned by Pearl Britain Development Group, LLC, who will continue to manage the center. Based out of Lakeland, RSA has a strong and steadily growing presence in the Florida market. The company’s current client base includes Inland Properties, Brixmor Property Group, Inc., Global Fund Investments, and a number of private capital investors. Lakeland, Fla. (December 2, 2014) – Retail Solutions Advisors (RSA) announces that it has been selected by Excess Space Retail Services, Inc. (“Excess Space”) as the exclusive leasing representative for two Orlando-area retail sites formerly occupied by Best Buy Mobile. Both former Best Buy Mobile locations are positioned in strong retail corridors with excellent visibility and high traffic counts on major transportation arteries. The first store is located at 1700 Sand Lake Road on a prime corner across from The Florida Mall, and the second is located at 2904 East Colonial Drive across from Orlando’s Fashion Square Mall. Excess Space is the leading consulting and advisory firm specializing in real estate disposition and lease restructuring for retailers and financial institutions nationwide.RSA is one of only three preferred real estate services providers selected to partner with Excess Space in the state of Florida. Lynda Nagy, Regional Vice President of RSA will be handling the leasing of the two Orlando locations. “We are excited to be able to offer these single tenant opportunities within established retail centers that are so well positioned in the Orlando market,” said Charlie Boscarino, President of RSA. 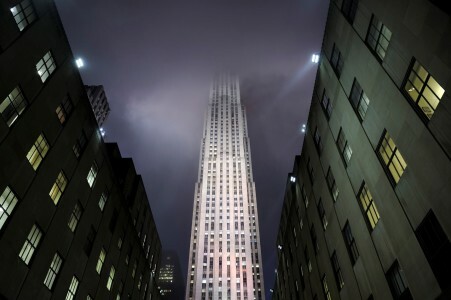 Commercial property management is a special part of the investment property industry. 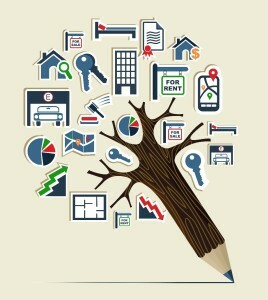 It requires unique skills and property knowledge at a personal level to improve property performance. Our firm covers lease and rent strategies, property control, landlord reporting, tenant mix matters, maintenance management plus many more practical applications to commercial property management. The strategies covered in the post are from the personal experiences of our firm in managing and leasing large office, industrial and retail properties over many years. Hands-on experiences help you understand how to approach this very special part of the industry. Simplicity and practicality help the reader understand the most important factors of the property management profession to control and perfect. Thinking about becoming a landlord? Then you will need proven strategies for establishing and maintaining rental properties especially when they are commercial real estate properties. You’ll need to find out how to prepare and promote your properties, select tenants, handle repairs, avoid costly mistakes and legal missteps—and meet your long-term goals. Do you really have what it takes to successfully manage a rental property, and learn all about the various options for hiring someone else to manage your property for you and your company. You’ll find out the right way to prepare your properties for prospective tenants, set the rent and security deposit, clean up properties between tenants, and verify rental applications. In no time at all, you can hire a top-notch property manager by working efficiently with employees and contractors to keep your properties safe and secure. 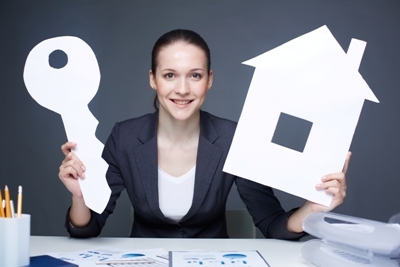 The fact is, how you manage a property directly affects how profitable it will be. Retail Solutions Advisors goes beyond the basics, giving you all the guidance you need to successfully manage your properties, avoid pitfalls, and make a profit. One of the key factors to your portfolio’s performance is your media. 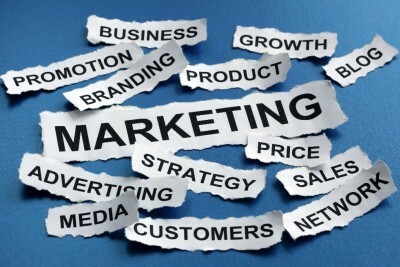 Your advertising into the market. Of course we take care of this for all our clients but you will need to look at the following for your properties and commercial real estate portfolio. Your asset management plan should address key issues with in house and outsourced maintenance projects. You have to be able to manage every facet while increasing efficiency on each project overviews. When you are looking over your commercial property management and everything that this service entails, feel free to contact us as we can offer help in all of these areas. When you are beginning the process of deciding on your broker it is very important to understand what makes a great Commercial Real Estate Broker. The qualities and questions to make sure you know the answer to will help guide you in this process. Orlando is still one of the top tourist destination in the world, hosting a record 56 million visitors and generating $50 billion in economic impact in 2013. With expansions like Disney’s Avatar, Magic Kingdom, Downtown Disney and The Wizarding World of Harry Potter at Universal, along with the opening of the Dr. Phillips Center for the Performing Arts and an 18,000-seat stadium for Orlando’s new Major League Soccer franchise, visitors are expected to exceed 63 million and bring an additional $1.3 billion to the local economy. When choosing the right broker for your real estate needs it is important to understand that having a great database of contacts is really the biggest asset a great broker can have. When you are involved in a major market like Florida’s Commercial Real Estate, then you naturally grow a database that can help influence projects throughout the nation. This database will help in the outreach of potential tenants, buyers, and investors for your project. A great commercial broker is talking daily to various sellers, buyers, contractors, and city officials. While they are doing this day to day business it becomes natural that they gain a relationship with some of the individuals they are in contact with the most. This relationship can provide influence over your project. While each transaction is different, you will want to make sure that the real estate firm you are choosing has a credible history and has dealt with transactions that are similar to your piece of property. Many times you will find that an initial consultation will tell you everything you need to know about a broker. When you sit down and discuss the project in depth you will get a feel for the depth of knowledge your potential broker has. The second step is to ask for who they will contact in order to make sure that as many eyes are on the project as possible. Your broker can also recommend great resources to help facilitate each step of the transaction. They have a database of tried and true investors, attorneys, and tax consultants. 3. Residential is completely different, especially in Florida! When you are finding the best commercial real estate broker for your needs then you need to make sure you understand one thing completely. Residential real estate transactions and Commercial real estate transactions are completely different. There is a huge difference. Make sure you only hire a professional who focuses on commercial real estate. These transactions are completely separate for a variety of reasons. 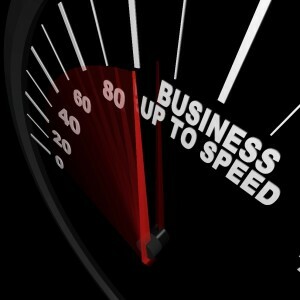 Commercial real estate is business-focused. It involves property that is sold, leased, or used to achieve a predetermined business objective. It’s used as an investment to achieve an anticipated rate of return on the funds invested. Residential real estate revolves around the wants and needs of a homeowner and his family. It involves property purchased for individual use, most often to provide housing for families. * Representing tenants or lessees by finding, selecting, and negotiating new space for client businesses. * Representing building owners or lessors by working to lease out building space for the highest possible price and with the most favorable terms. Frequently a commercial agent represents one owner or even one building exclusively in order to ensure the building is leased to capacity. * Representing investors who want to buy and sell commercial property by finding opportunities that offer the lowest risk to the client, the best return on investment, and the best capitalization rate, which is the net operating income of the property divided by the sales price or value of the property. There are 3 reasons why commercial real estate is a great choice for most people. When a property has a cash flow that already exists and a business that operates in and around it, the investment in that piece of property is inherently safer. The banks and investors see this as well and are willing to invest because of the ease of collateral. While competition levels are an opinion there is one obvious point about commercial real estate. There are less people in it. That by nature makes it less competitive. Realize though that the amount of capital invested in a project such as advertising, events, and media are widely different for commercial real estate. There is more return on the investment so there will be more money invested in commercial projects because of that. Residential real estate is typically valued based on other comparable properties that have sold in the area that are similar in features. If the “comps” for a 3 bedroom/2 bathroom house in a particular neighborhood is roughly $100,000, then your property is probably going to be worth $100,000. It doesn’t matter too much that you have additional features, or that your house is getting $900 a month in rent as opposed to the house down the street that is only renting for $700 a month. All things considered, you property will still be valued pretty close to the “comps” of the area. However, in commercial real estate, the valuation of a property is based on the revenue that the property generates. Now, commercial real estate is still subject to the “comps” of the area as it pertains to “How” that revenue is valued in terms of capitalization rates. But, the overall premise is that, the more revenue a property generated, the more that property is worth. So, in order to “force” the appreciation of your commercial property, you need to find additional ways to increase the revenue that the property generates. A small increase in revenue can increase the value of a property significantly depending on the “Cap Rates” in the area for that type of commercial real estate. Unfortunately, with residential real estate this isn’t an option as you really can’t force appreciation, your property will be valued in the general range of the market comps. Commercial real estate is valued differently. The income that a piece of commercial real estate produces is directly related to its usable square footage. This isn’t always the case with residential. Commercial property helps diversify risk. For example, if you own an apartment building and you lose one of your 10 tenants, you only lose one-tenth of the income for that property, instead of the entire rent as you would if you lost a tenant in a single-family house. Cash flow is often greater with commercial real estate. The yield is often higher per square foot and on an initial investment basis than it is in residential. If you lease or rent a multi-unit commercial property, you have more tenants to generate income than you do with a single-family dwelling. Commercial real estate leases are generally much longer. This helps with the stability of your cash flow. Commercial property is valued by the bank differently. You’ll need to find a bank that works with commercial real estate (most major lenders do), and it’ll want a higher down payment than for residential property–usually 30 percent or more. Contact Us To Discuss Your Commercial Real Estate Needs. We possess all of the traits of a top commercial real estate broker and would love to discuss your project. Lakeland, Fla. (February 24, 2015) – Retail Solutions Advisors (RSA) announces that it has been selected as the exclusive leasing representative for Crosswinds, a prominent community shopping center situated in a high-traffic commercial area proximate to Tyrone Square Mall. 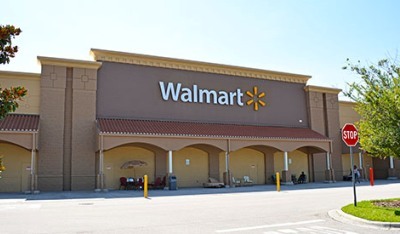 Located at 6600 Crosswinds Drive in St. Petersburg, Fla., the 139,037-square foot center is anchored by Marshall’s, Michael’s, and Bed Bath and Beyond. Jannie DelRio, Regional Vice President of RSA will be handling the leasing of Crosswinds. The property is owned by Crosswinds St Pete, LLC, who will continue to manage the center. RSA also announces that the first new tenant has already been signed for the center. Beall’s Outlet has leased the final remaining anchor space and a new 29,600-square foot store will be opening up at the center during the second quarter of 2015. Lakeland, Fla. (February 16, 2015) – Retail Solutions Advisors (RSA) announces that it has been selected by Excess Space Retail Services, Inc. (“Excess Space”) as the exclusive leasing representative for two Orlando-area retail sites formerly occupied by Best Buy Mobile. Both former Best Buy Mobile locations are positioned in strong retail corridors with excellent visibility and high traffic counts on major transportation arteries. The first store is located at 1141 Rinehart Rd in Sanford in a prime location just east of Seminole Towne Center in the Sanford/Lake Mary area, and the second is located at 12945 South Orange Blossom Trail in the Southchase area of Southeast Orlando proximate to several major national retailers. Lynda Nagy, Regional Vice President of RSA will be handling the leasing of the two Orlando locations, in addition to two others that were awarded to RSA in December. Based out of Lakeland, RSA has a strong and steadily growing presence in the Florida market. The company’s current client base includes Inland Properties, Brixmor Property Group, Inc., Global Fund Investments, Excess Space Retail Services, Inc., and a number of private capital investors. 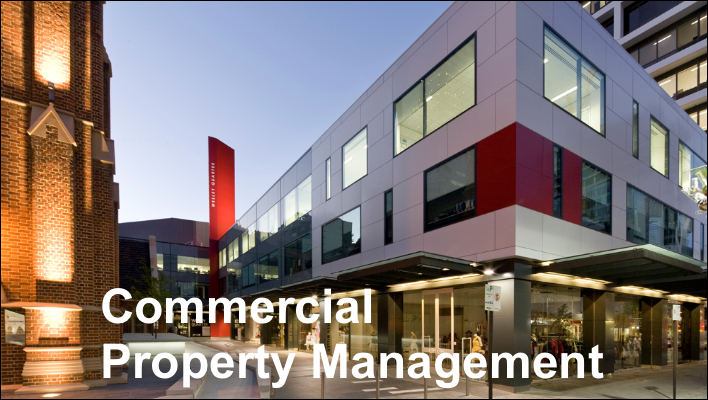 Commercial Property Managers: What Do They Do? A property manager must track all cash activity for a property, as well as accurately account for tenant payments. They are also relied upon to properly track all refunds due to tenants, such as security deposits that may be due after a tenant vacates the property. Every day, they must review and keep records of a property’s cash position, as well as all banking activity for an assigned property. Other duties may include keeping detailed records for all maintenance costs and invoices, preparing monthly accounting and budgeting reports, and preparing audit packages. They must be diligent, and collect rent on time, to ensure that the owner’s cash flow remains positive. Managers will use current trends or fixed percentages to determine when it’s appropriate to raise or lower rent. Property managers are responsible for knowing current lease rates, and advising rent amounts that will appeal to, and attract tenants. Unparalleled customer service is the key to having happy residents who stay put and refer others. The property manager often finds himself solving disputes and smoothing over an upset tenant. The property manager must excel in customer service. They must address complaints quickly, and document everything. 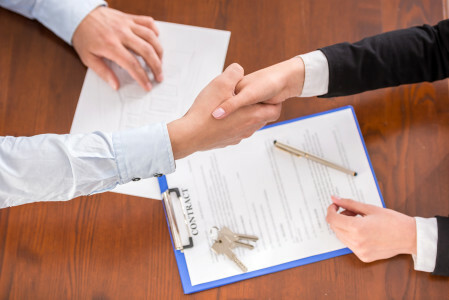 Tenants also like to feel that their voice matters, so a good property manager should take suggestions for improvement, and apply them if possible, all while maintaining a professional work attitude. Managers will market the property effectively to keep vacancy low. They will sort through all tenant applications to determine the best fit for the property. This will involve credit and background checks as well as interviews. They will agree on the length and legal aspects of the lease, and negotiate security deposits. They need to respond to emergencies and handle any maintenance and/or disruptive tenant complaints. Managers need to inspect the unit for damages to negotiate security deposits. They also need to clean and repair the unit to prepare for the next tenant. The manager needs to know the laws and proper procedure to protect the property owner in the event that eviction is necessary. Property renovations ultimately provide the potential for rental or selling price increases. However, deciding which renovations make the most sense, that will ultimately reap the most benefits can be complex. The property manager must know which renovations are most worthwhile, and what improvements renters really want. They must also know how to get the most bang for your buck when it comes to making wise property renovations, understanding the correlation between curb appeal and rental rates, and how to choose remodeling projects that preserve equity and the integrity of the property. Managers are in charge of all aspects of maintenance, from daily cleaning and landscaping to preventative measures such as pest control and code compliance. Property managers must be able to react quickly for repairs like plumbing leaks, and must be knowledgeable enough in construction to be able to spot possible issues before they arise. Fire protection systems must work properly and be up to date. Proper lighting and signage, as well as parking lot markings are all required by law. The property manager must control the expenses required to operate and run the daily business activities necessary to keep the property clean and rent-able. They are expected to keep any project within pre-planned budget requirements. The cost containment process is an important management function that helps keep costs down to only necessary and intended expenses. Managers need to keep very detailed records of the property including: signed leases, maintenance records, inspections, complaints, expenses and income to name just a few. Managers will have a set budget, and they must be organized and efficient enough to operate within its parameters, unless emergency or dangerous situations dictate otherwise. The Property Manager must hire and manage workers, and implement policies, procedures and programs that will assure well-managed, well-maintained buildings, placing maximum emphasis on positive response to the concerns and needs of the tenants, environmental health and safety, and quality of work that the vendors perform. Managers will almost never actually prepare taxes, but they must keep very detailed records for the tax professionals that handle these documents every year. As you can see, the job of property manager is not an easy one. These professionals need to be ethical organized individuals who like to deal with people. Sometimes people at their worst, so they must be able to keep calm in volatile situations. If you can manage people, property and legal situations effectively enough to keep an investment safe and profitable, property management can be a very rewarding profession.